Perfect location: close to the city center and easy to access with the metro. Comfortable and clean with the plus of having a small kitchen at your convenience. The manager went above and beyond to help us enter the property as we were unfamiliar with the process. Studio was clean, comfortable and convenient. Location approx 30min walk from train station. Close to restaurants, shopping and attractions. Well thought out apt. Apartment was excellent- small but well planned layout with all the essentials. Fridge, stove and coffee pot included. The shower is a DREAM with lots of room and fresh towels. The bed was comfy and clean. Restaurants just steps away. Would definitely stay again! I liked the kitchenette so that I could prepare some of my own meals. The location was not far from the river. I enjoyed that because I liked strolling along the river. I wasn't far from public transportation. 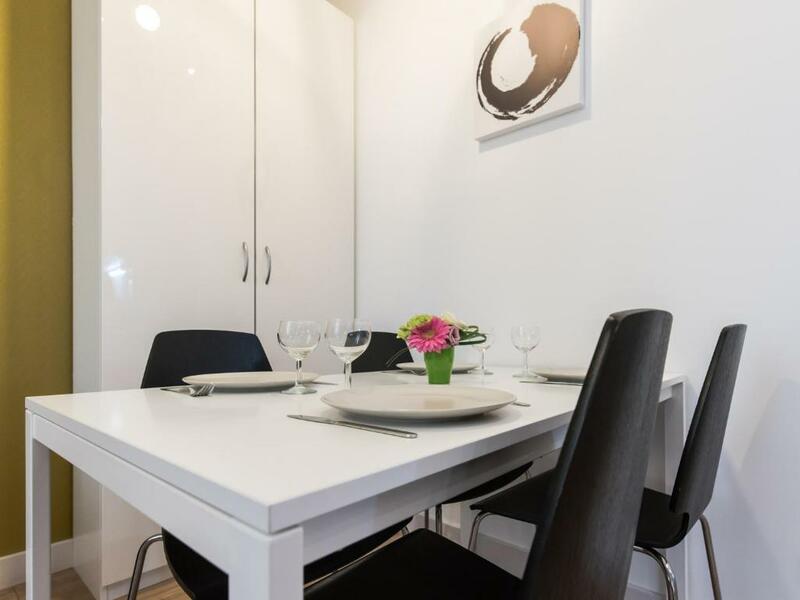 Great location, surrounded by restaurants, comfortable and well equipped. Very good location. Bathroom was clean. Good shower. Roomy table and chairs. Plenty of towels. 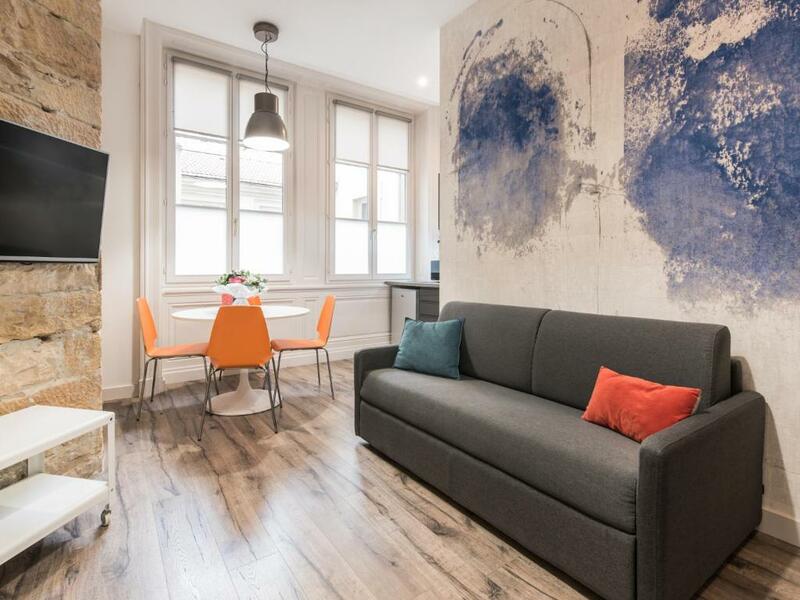 Lock in a great price for Come in Lyon – rated 8.4 by recent guests! 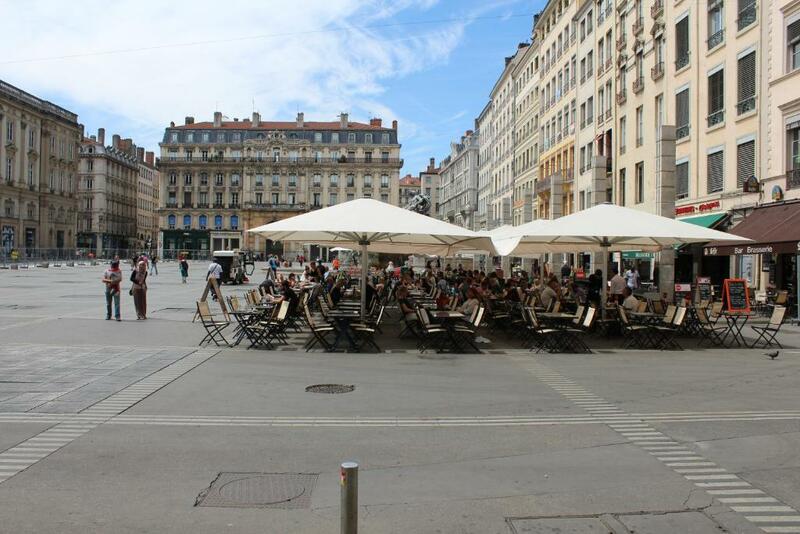 Located in Lyon, Come in Lyon provides accommodations with a flat-screen TV and a kitchen. Free WiFi is available. 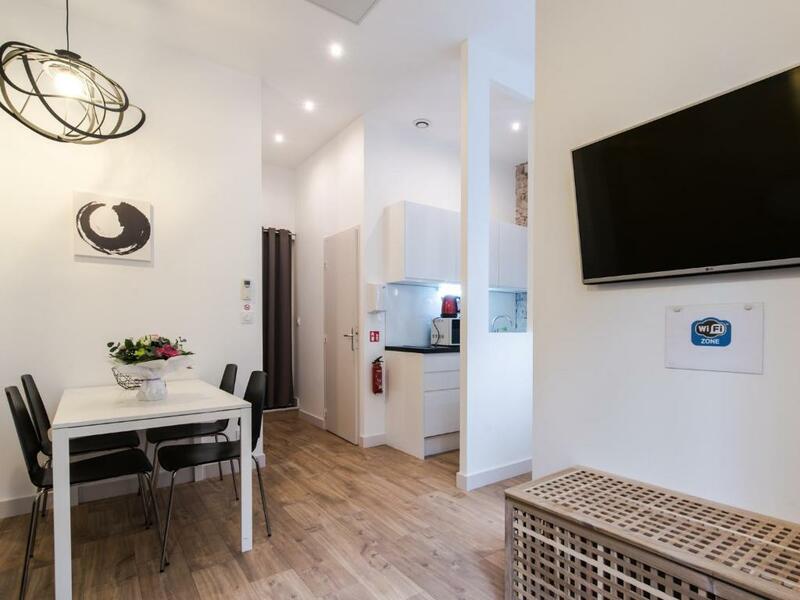 Each unit features a microwave, toaster, a coffee machine, as well as a fridge and electric tea pot. Some units are air-conditioned and include a seating and/or dining area. 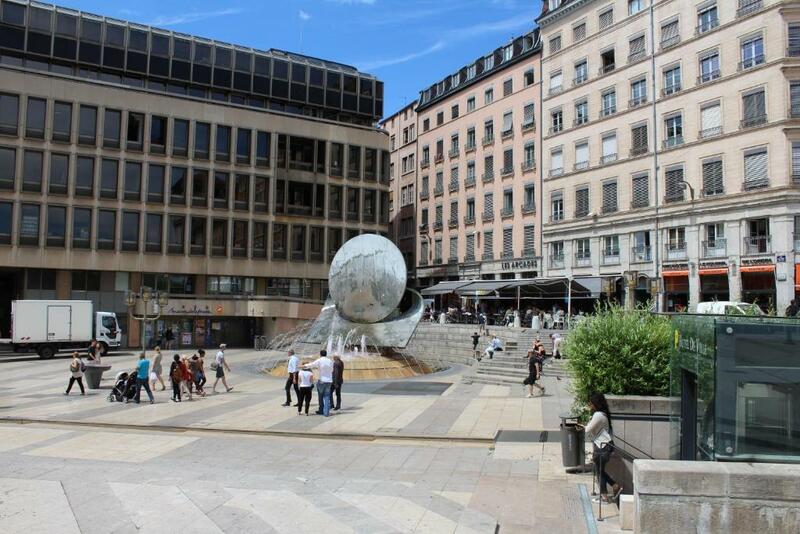 Popular points of interest near the apartment include the Museum of Fine Arts of Lyon, Musée Miniature et Cinéma and Opera National de Lyon. Saint Exupery Airport is 18 miles away. 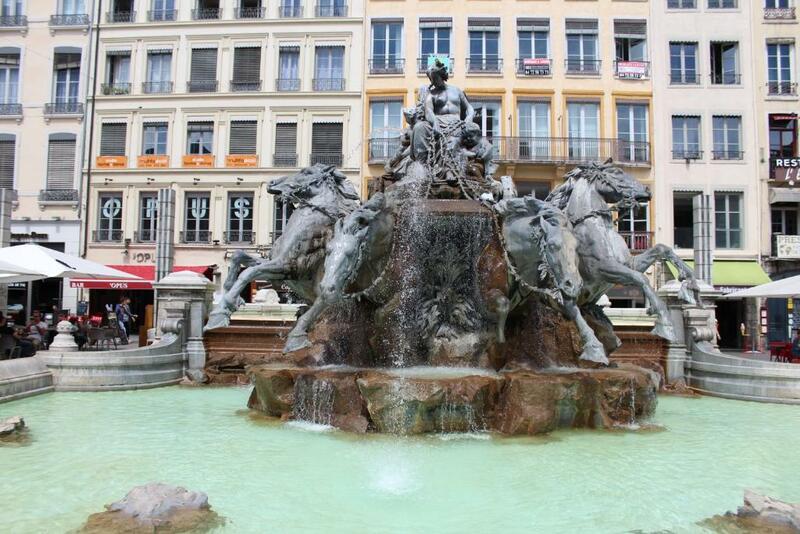 When would you like to stay at Come in Lyon? 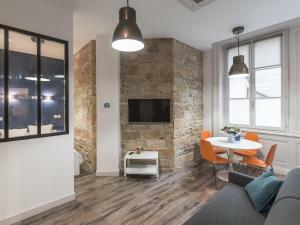 Les appartements ont été complètement rénovés en 2016 avec le goût. Je suis une jeune femme passionnée de voyage et aventure! Je serais ravie de vous accueillir! La rue du Garet est très ancienne, le quartier existe depuis le moyen âge et la rue est déjà bien présente sur le plan scénographique des années 1550. En 1570, Guillaume du Garet a fait ouvrir une rue sur ses terrains, du collège aux Terreaux. Au 19e siècle, elle s'appelait rue Henri. C'est la rue des restaurants au premier rang duquel le Garet, siège de l'académie du coq en pâte et dont l'idée seule de la salade de museau qui garnit leurs terrines fait monter l'eau à la bouche. Sa devanture est ornée d'une mosaïque représentant Gnafron et Guignol, le quai de Saône et le Beaujolais. 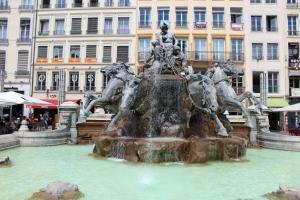 House Rules Come in Lyon takes special requests – add in the next step! Come in Lyon accepts these cards and reserves the right to temporarily hold an amount prior to arrival. The staff is kind but hard to catch up. very clean，facilities are good，location is good，not far from down town. One mino thing: if you are sensitive to light, there are no real blinders, so you have always a bit of light entering the room. The room was smaller than we expected. 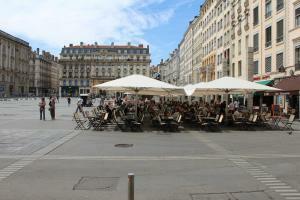 The location was terrific in between the two rivers and easy walking to many parts of Lyon. The bathroom was really good and the bed very comfortable. Close to wide variety of restaurants. Everything was great. It’s a small cozy room in a very city center. Looks exactly like at pictures. We really enjoyed our staying. Unfortunately on the day we arrived we noticed there were a couple of things broken in the room. Both the bedroom curtain rail and under cupboard kitchen light were broken. The cleaner was there when we arrived and she assured us the owner had organised to get these items repaired. There was also a street light directly outside of the bedroom window in the Opera apartment and full blackout curtains would have helped to stop the light coming in. The location of this apartment was superb. You are in amongst restaurants and bars. Many right across the road. It is a short walk to shops and major attractions. 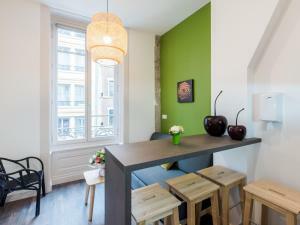 The apartment was in a nice building and the floor space was very generous and well equipped. We received a message from the owner with all the information we needed to access the apartment and it all worked first time. It was only a short 10 minute taxi ride from the train station. Communication with host was by email, text and cell. Some confusion over check in and check out process. Better communication would enable smoother check in. The studio Pizay is bright, spacious, clean and comfortable. Loved the location and the building itself with its sprawling staircase and tiny but modern elevator. Host Madina gave very clear instructions on how to access the property. Will definitely book again. Owner was not answering to phone calls, emails, SMSs. No way to get in touch with him. Pillows are pretty hard. Shower part of the bathroom had some mold. Could use new tiles. Location was great. Few bars and restaurants in front of the building. We had a room facing the backyard so it was very quiet. Walking distance to the city center. Comfortable queen size bed. The flat is located in the city centre so the main turist attractions are reachable on foot. The flat is very well and comfortably equiped.